It's funny, because for a long time I actually didn't know this song was Imagine Dragons! I heard this song a lot, and it ended up being one of this lovely radio friendly songs that you liked to listen to but didn't actually invest time to discovering more about, or at least that's what it was like for me. And then, someone requested the song on one of my radio shows and I was just like "oh my god, it's that song!". And the rest is history. 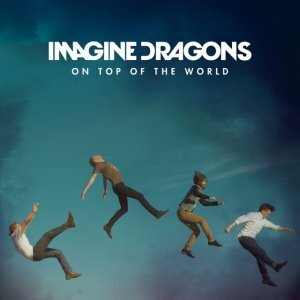 "On Top of the World" is simply just one of the happiest, positive thinking, lovely songs of the decade so far. Especially considering it's an indie track, it's just such an uplifting song, hence why it's been used a lot in the media, like in FIFA, a Samsung Galaxy advert and the movie The Incredible Burt Wonderstone. It's just a cool track that's very fresh and... just lovely. If you missed #85 go here.